The man saying those silly quotes is Ruslan Ostashko, the editor in chief of the Putin-supporting news outlet, PolitRussia. As the New York Times reports, Ostashko appeared on Rossiya 24 for a special report on these devious devices that are corrupting children. “It is a mystery why it has become so popular in Russia right now,” a newscaster said as he introduced the investigation. Why are these fidget things happening? Who is spreading them? The Putin opposition, that’s who. Spinners are popular around the world because they’re fun to fiddle with. It appears that these broadcasters don’t understand fun, because when they saw some of the young attendees of recent protests selling the toys under a banner that said, “Spinners from Navalny,” it all made perfect sense. Boom. Right there. That’s Navalny with a spinner. 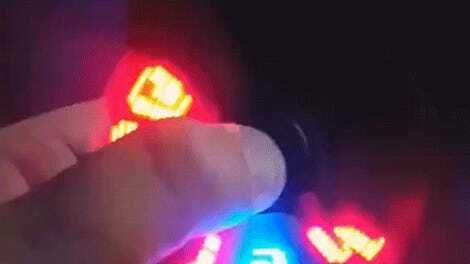 What’s more, the newscaster held up a spinner that he’d bought at a store for children in Moscow. It only featured English text, no Russian. Ostashko told the reporter that this was an obvious ploy to pull children over to the dark side of politics. “Those who understand political technologies, they understand very clearly that this simple thing is controlling the masses,” he said. On Tuesday, Russia’s consumer protection agency attempted to calm panicked parents by announcing that it will investigate the zombifying spinner. 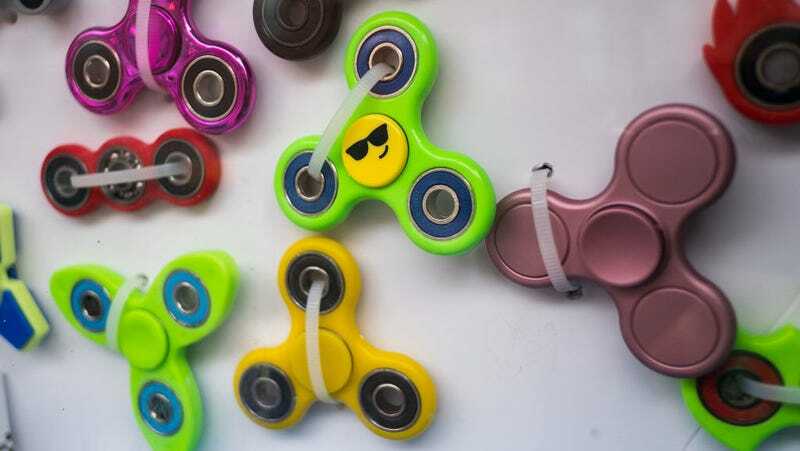 “Taking into consideration the anxiety among the community of parents and teachers, Rospotrebnadzor, in cooperation with child health research institutions, will study the effect spinners are having on children, including the possible negative impact,” a spokesperson said. There are a lot of strange and unsettling things going on with the investigation of collusion between the Trump campaign and Russia in its efforts to influence the 2016 election. There are also a lot of absolutely insane theories going around. Next time you hear something wild, search your soul and ask yourself if it would it sound as completely stupid as this does.